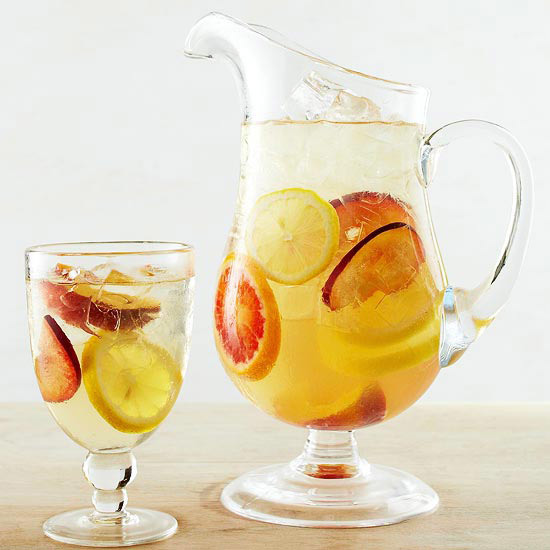 In a very large pitcher combine brandy, orange liqueur, and honey; stir with a long handled spoon until honey is dissolved. Add ginger and fruit. Cover and chill 2 hours. Just before serving, stir in wine and carbonated water. Serve over ice, if desired. Makes 10 servings.